If you visited my blog yesterday you saw my post for a Slow Cooker Pumpkin Spice White Hot Chocolate (YUM!) 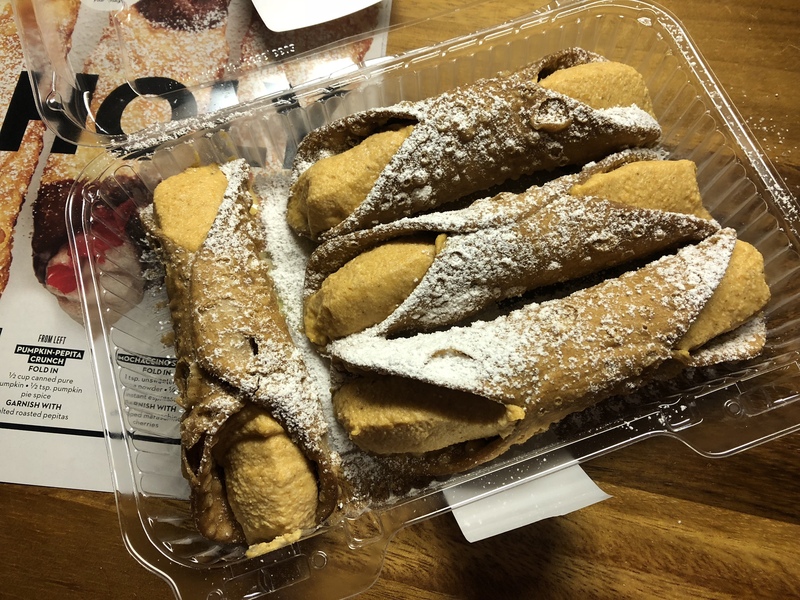 and I mentioned these Pumpkin Cannoli in that post. Today I am sharing the recipe with you. Sometimes with one can of pumpkin puree you can enjoy 2 or 3 delicious treats. Fold the ricotta cheese, sugar, pumpkin puree and pumpkin pie spice together in a medium bowl until well blended. Transfer the mixture to a large piping bag (or a gallon size resealable bag) and snip a half inch hole at the end (or corner) of the bag and pipe the mixture into both ends of the cannoli shells. Dust with confectioner’ sugar and enjoy. For today’s Cookie Palooza recipe I bring you a cookie you don’t have to bake! What could be better than that? No flour to measure, no oven to turn on… Anyone can make this cookie. So, what is it? 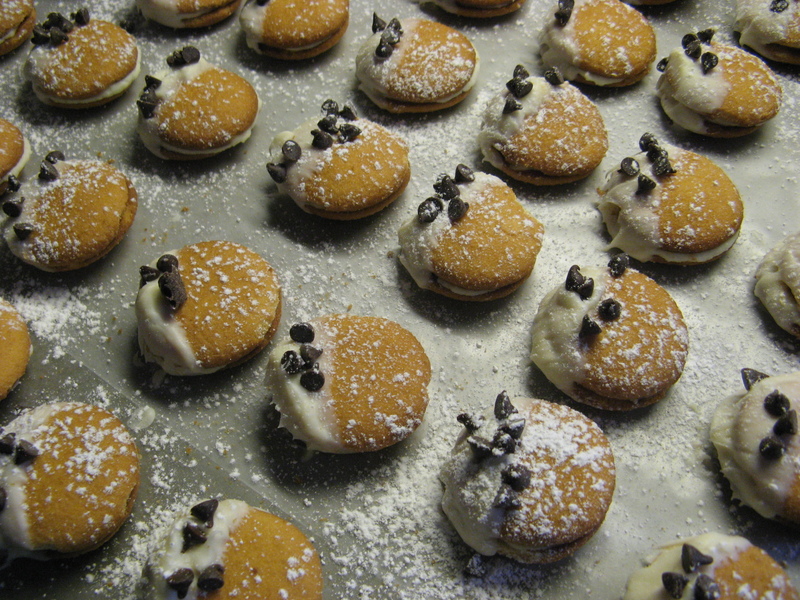 It’s a Cannoli Wafer Sandwich Cookie! And let me just tell you that I brought these cookies to a friend’s house and they were a hit with everyone. So, here’s what you need for these cookies; vanilla wafers, whole-milk ricotta, confectioners’ sugar, sugar, vanilla extract, white candy coating and miniature semi-sweet chocolate chips. I began by making the cannoli filling by mixing whole-milk ricotta with confectioners’ sugar, sugar and vanilla extract. 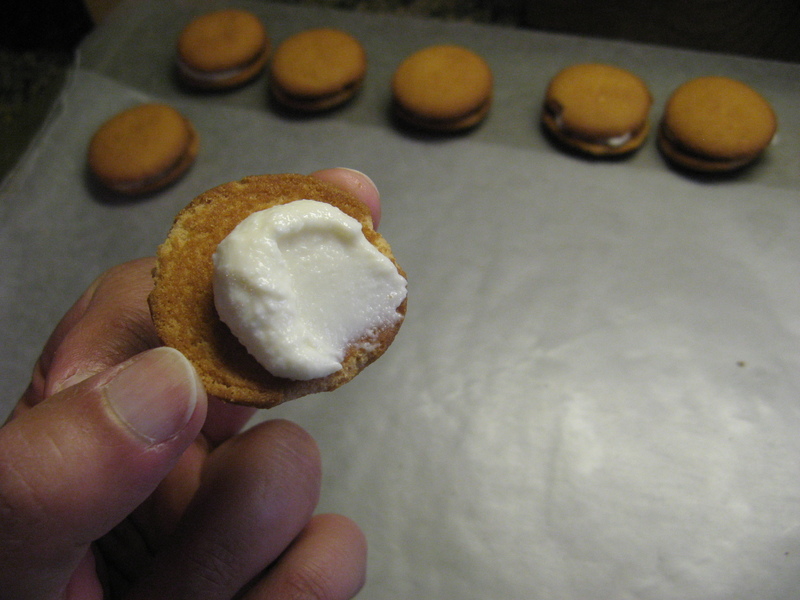 Next, I spread a teaspoon of the filling on the bottom half of the vanilla wafers and then topped them with another wafer. Once I had used up all of the cookies in the box…. 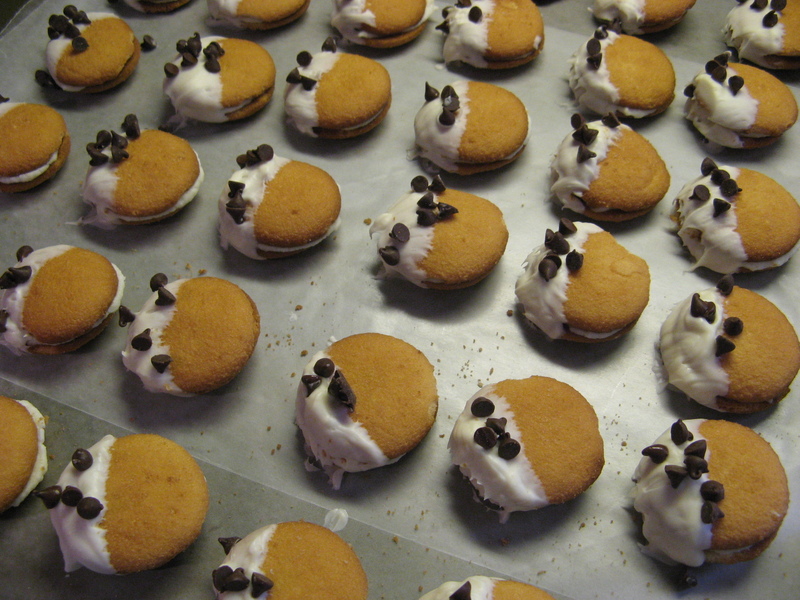 I dipped each of the sandwich cookies halfway into melted white candy coating – I used White Wilton Candy Melts. I dipped about five cookies at a time and then sprinkled mini chocolate chips on them. You don’t want the candy coating to set too much or the chocolate chips won’t stick to the cookies. Once I dipped all of the cookies I placed the cookies in the refrigerator for a few minutes so the candy coating could set. And finally, I dusted the cookies with confectioners’ sugar. How simple is that!?!? While these cookies are delicious and you might be tempted to save a few for the following day, they are best eaten the same day they are assembled. In a small bowl mix together the ricotta cheese, confectioners’ sugar, granulated sugar and vanilla extract until well blended. 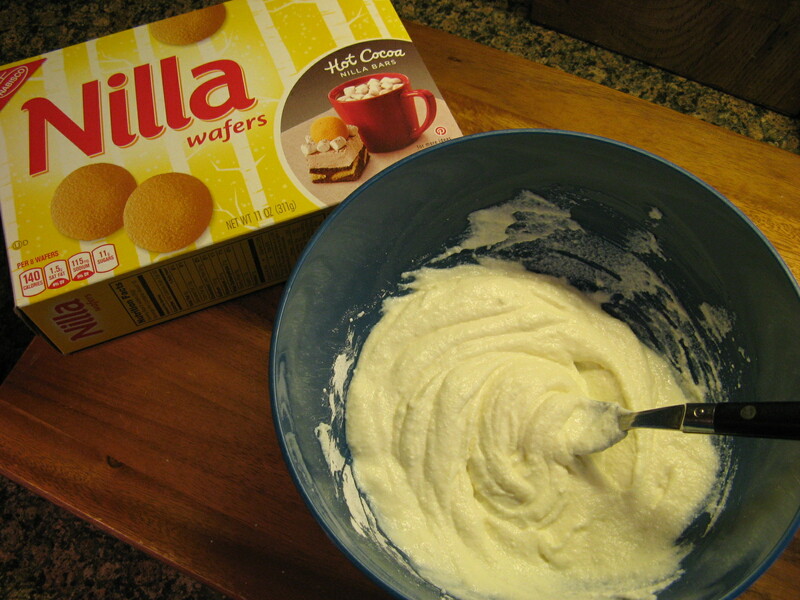 Spread 1 scant teaspoon filling on half of the vanilla wafers and then top with the other half of the cookies. 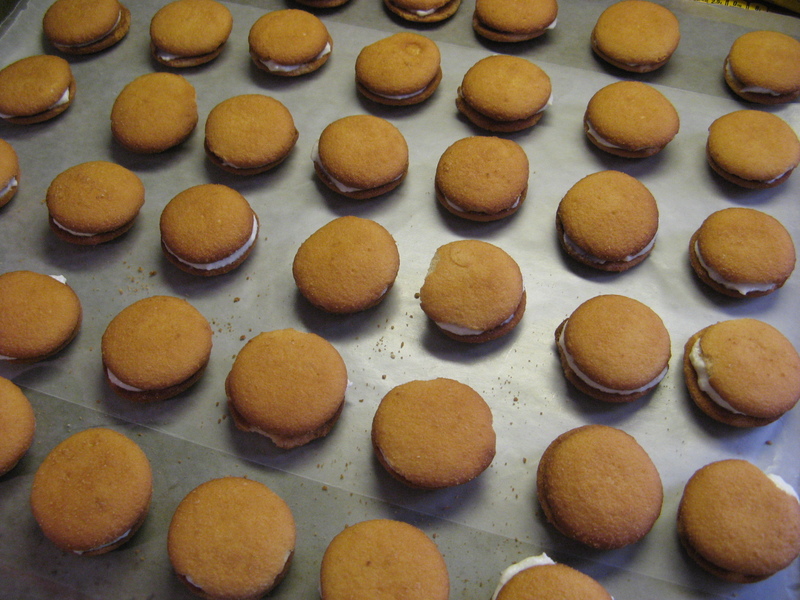 Dip each of the sandwich cookies halfway into the melted candy coating and place on wax paper. Sprinkle with chocolate chips and let the cookies stand until set, about 10 minutes. Alternatively you can place the cookies in the refrigerator for a few minutes to speed up the process. Refrigerate the cookies until serving. Dust with confectioners’ sugar prior to serving. 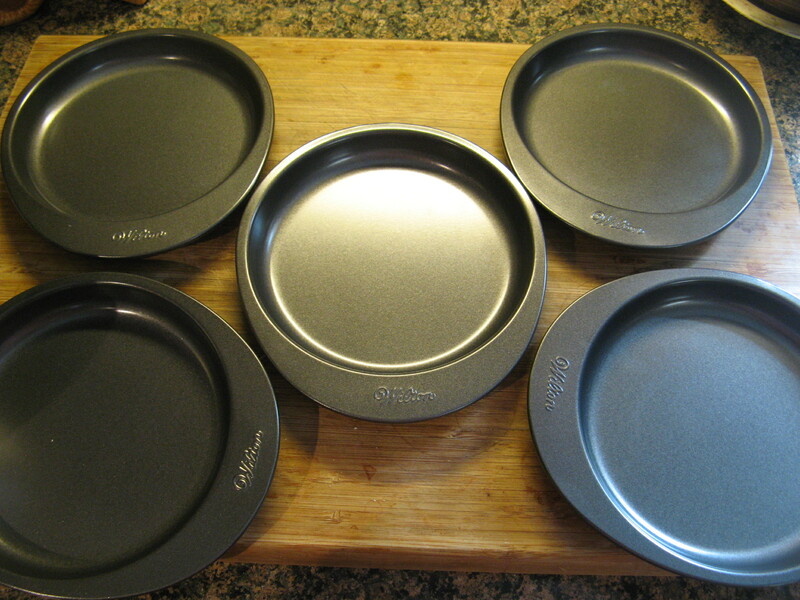 A while back I picked up a five-layer cake pan set at Sur La Table– I saw it one of their catalogs which also included a coupon so it was destined to be. I wasn’t sure what kind of cake I wanted to make to test it out but then all of a sudden I had the idea that I wanted to make one with a cannoli cream filling – something I had never made before. 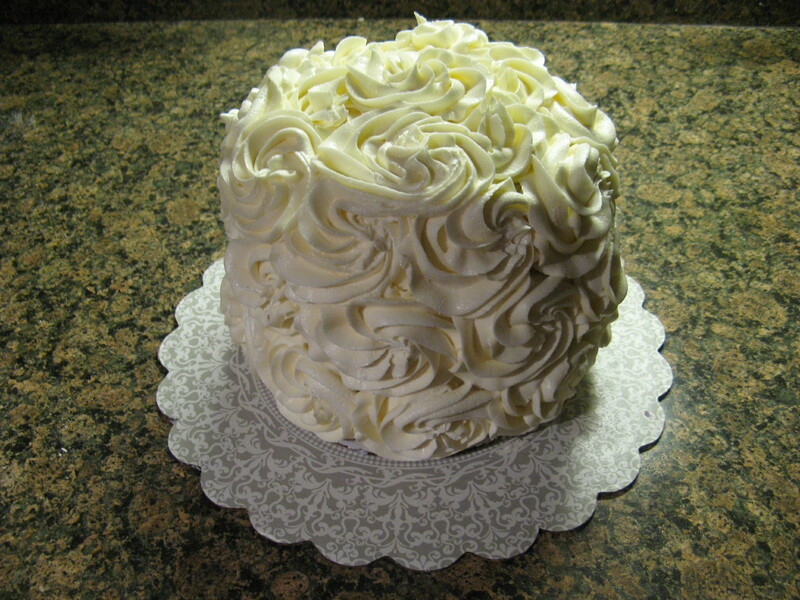 Another thing I hadn’t done before… Decorate a cake entirely with rosettes. I did take the Wilton decorating classes some time ago and while I did learn how to make rosettes I normally just decorate a spot or two with them but lately I have been seeing these beautifully cakes decorated with large rosettes and wanted to try it myself. 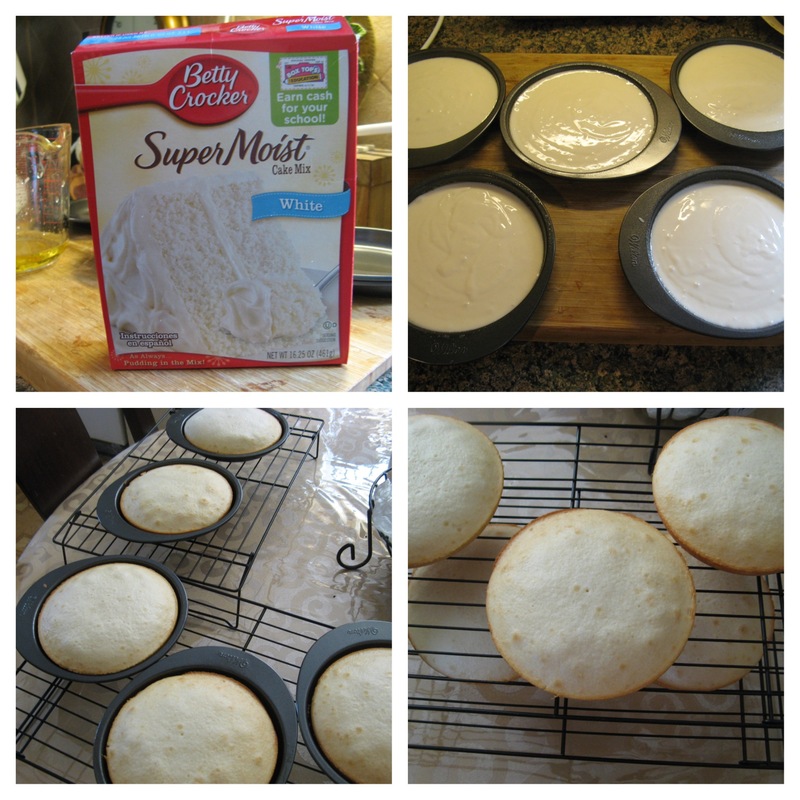 I opted to use a white cake box mix for this cake since I wanted to be sure that I would have enough batter for the five pans and right on the box it said that one box cake would suffice. After mixing the batter according to the directions on the box, I filled the pans evenly with batter (I used an ice cream scoop to be precise,) baked them and then let them cool. While the cakes cooled I worked on the cannoli filling. I settled on a recipe from Sargento. I figured this recipe would be a good one to follow since Sargento is a producer of cheese products. To begin I whipped heavy cream until soft peaks formed. I then beat together ricotta cheese, sugar and vanilla extract. Following that I folded the whipped cream along with mini chocolate chips into the ricotta mixture. Now it was time to prep my mini cakes for assembly. 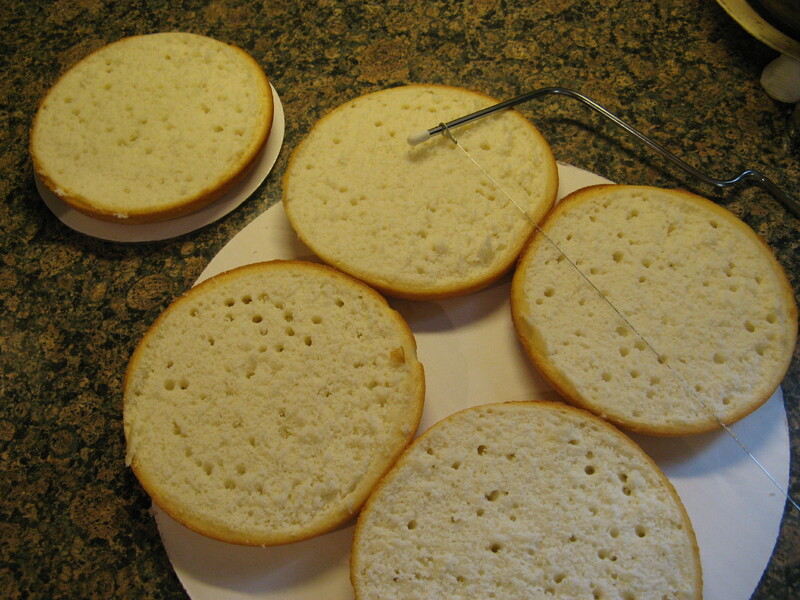 I used a cake leveler to remove the crowns of the cakes to make them all level. 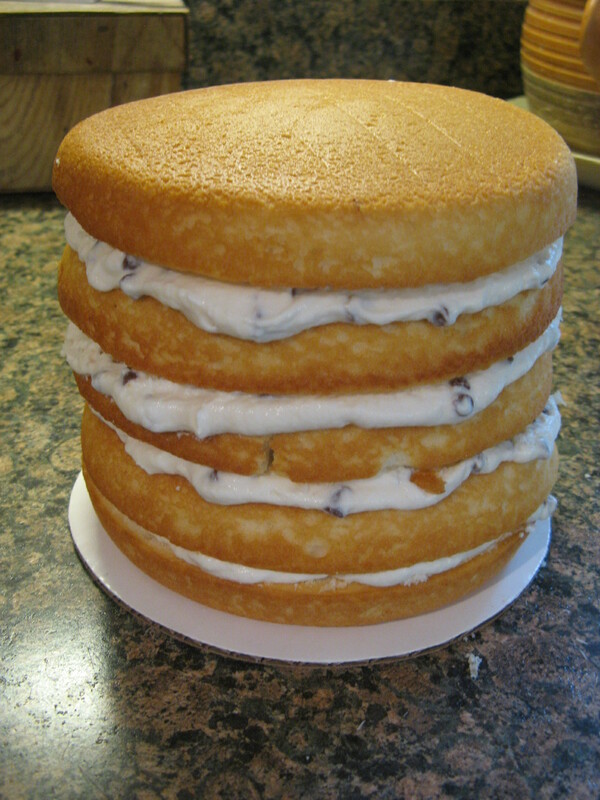 To assemble the cake, I filled each layer with about a cup and a half of cannoli filling. Then it was time to frost it. 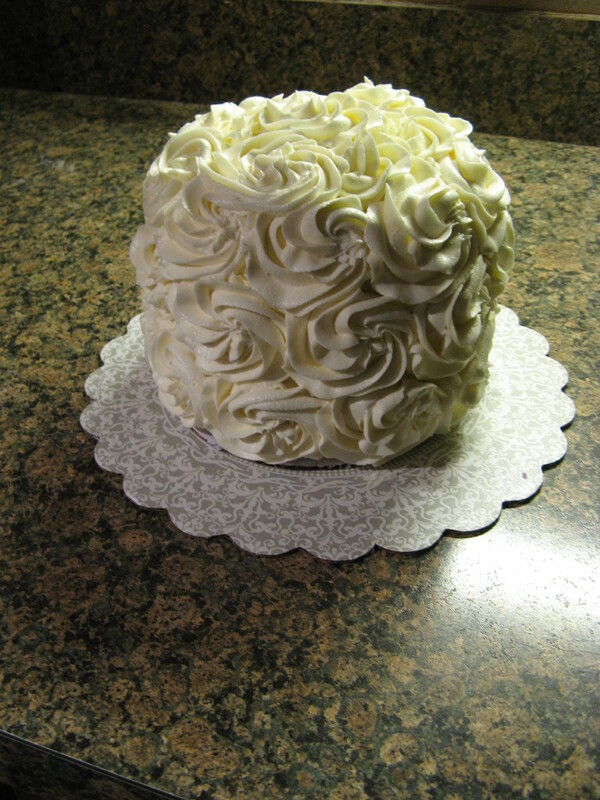 Initially I wanted to frost it with a whipped cream frosting, but, since I wanted to cover the entire cake with rosettes the whipped cream wasn’t going hold up well on the sides of the cake… On top of the cake it would have looked great though. 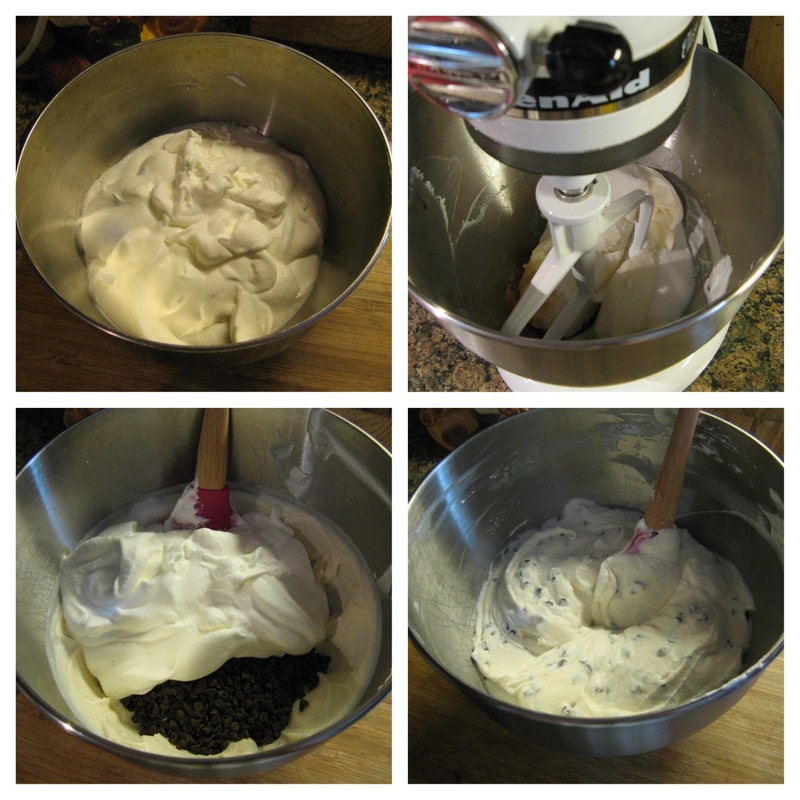 So I opted to whip up some Fluffy Vanilla Frosting – which I first made when I made Chocolate Malted Cupcakes. I started by crumb coating the cake. And then using a 2D Wilton Tip I covered the cake with large rosettes and I think I may have found my new way of decorating cakes…. 1. Beat ricotta cheese, sugar and vanilla on medium speed in bowl with electric mixer for 3 minutes. 2. Fold in whipped cream and chocolate chips. 1. With an electric mixer, beat butter on medium-high speed until pale and creamy, about 2 minutes. 2. Reduce speed to medium. Add the confectioners’ sugar, 1/2 cup at a time, beating well after each addition and scraping down sides of bowl as needed; after every two additions, raise speed to high and beat 10 seconds to aerate frosting, then return to medium. This process should take about 5 minutes. Frosting will be very pale and fluffy. 3. 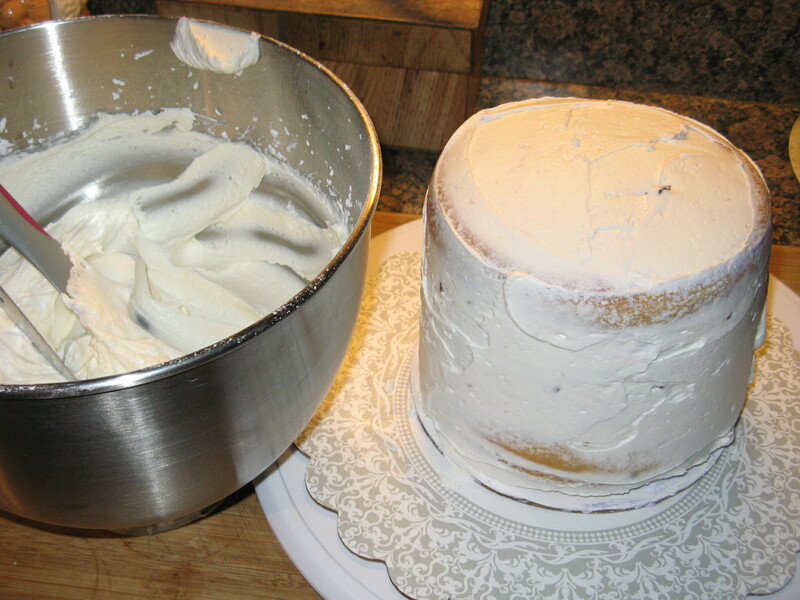 Add vanilla, and beat until frosting is smooth. 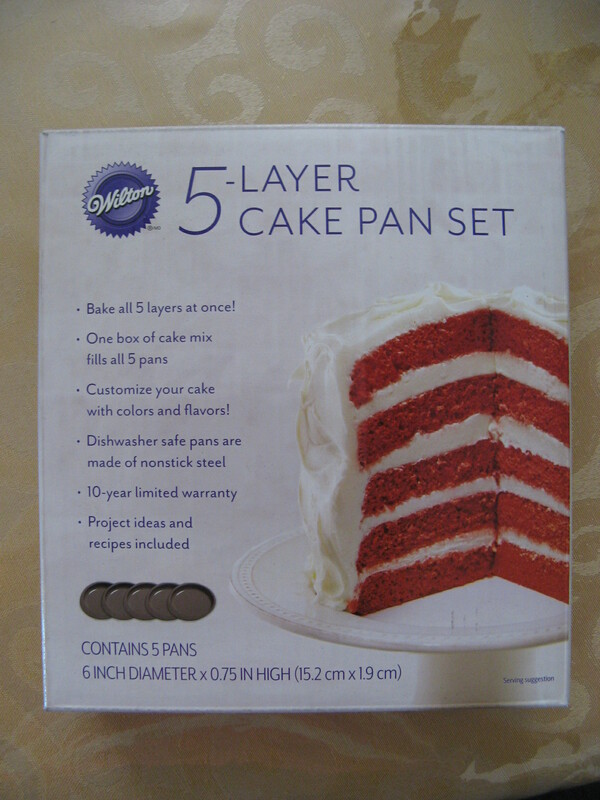 If not using immediately, frosting can be refrigerated up to 10 days in an airtight container. Before using, bring to room temperature, and beat on low speed until smooth again, about 5 minutes.